According to Daily Esports, Boxer has signed a deal to become the main model for the game/poker site "Fulpot Poker" developed by Me2On. In addition to this deal, he will become a professional poker player. 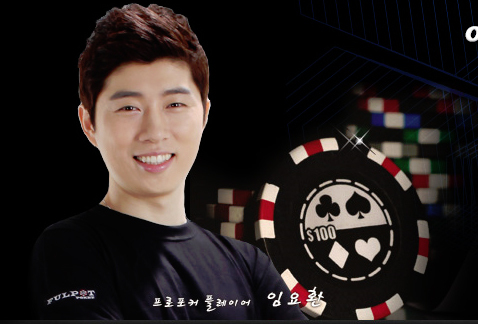 Boxer is set to compete in online tournaments in Fulpot Poker, and he plans to compete in the Asian Poker Tour and as well as the World Series of Poker. Not that surprised tbh, yellow was/is a poker player as well iirc. This is so sad I hope he finds happiness there though. Im sad but interested to see his results. End of an era. A long era. BoxeR finally out of Starcraft for good? why?why is everybody so depressed.he found something to do.what did you expect from him? Lame. He will be missed for sure. It's not just SC2. A number of SC1 pros have gone to poker as well, namely Elky and rekrul. Isn't gambling illegal in Korea? With the reality series and no longer managing SK? I thought it goes without saying. I wonder how Jessica will take it when he loses some big hands. Good for him. Hopefully he remains at least partly involved with Starcraft. He's a great inspiration and single-handedly the reason I began playing Starcraft. I knew my 500th post should have been saved, it's appropriate it's about Boxer. Riddles in the Dark. Answers in the Light. Well, not much for him to do in Starcraft any more. Good luck. What are the laws on gambling in Korea? "i think that message boards were created so that shy people could be assholes"
He's now out of the starcraft scene?